In this work we investigate the magnetic properties of iron oxide nanoparticles obtained by two-step synthesis (seeded-growth route) with sizes that range from 6 to 18 nm. The initial seeds result monocrystalline and exhibit ferromagnetic behavior with low saturation field. The subsequent growth of a shell enhances the anisotropy inducing magnetic frustration, and, consequently, reducing its magnetization. This increase in anisotropy occurs suddenly at a certain size (~10 nm). Electronic and structural analysis with X-ray absorption spectroscopy indicates a step reduction in the oxidation state as the particle reaches 10 nm size while keeping its overall structure in spite of the magnetic polydispersity. 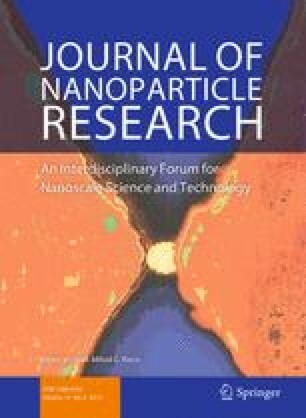 The formation of antiphase magnetic boundaries due to island percolation in the growing shells is hypothesized to be the mechanism responsible of the magnetic behavior, as a direct consequence of the two-step synthesis route of the nanoparticles. This work was supported by the European project MAGNIFYCO (Contract NMP4-SL-2009-228622); Spanish Ministerio de Economía y Competitividad grants CSD2009-00013, MAT2011-27470-C02-02, and FIS-2008-06249; and Madrid Region Council project NANOBIOMAGNET (S2009/MAT-1726). A. F. acknowledges financial support from the Spanish MICINN through CTQ2009-06959 and for a Ramón y Cajal Fellowship (RYC-2010-05821). We thank F. Gazeau and M. Levy for their essential contributions, and C. Prieto for helpful discussions on the XAS measurements. We acknowledge ESRF for beamtime and BM25 personnel for technical support.